During a trip to Dumaguete, Negros Oriental, I brought Jana to Apo Island for a fun day at the beach and some snorkelling. 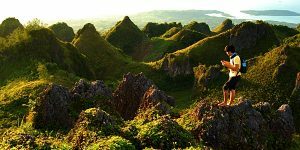 However, when we arrived at the island, the marine sanctuary was closed due to earthquakes and typhoons that affected the area. They had to close it to let the coral reefs recover. 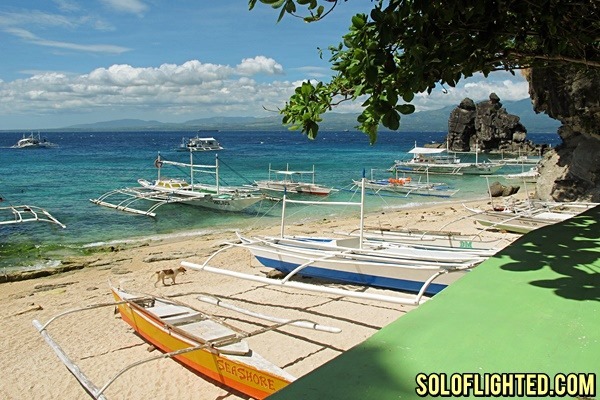 I’ve been to Apo Island before, and we spent the time just snorkelling. This time was different as I was able to try a fun five adventure complete with scuba suit and gear. Being a first-timer at it, I was very excited to try how these things operate. 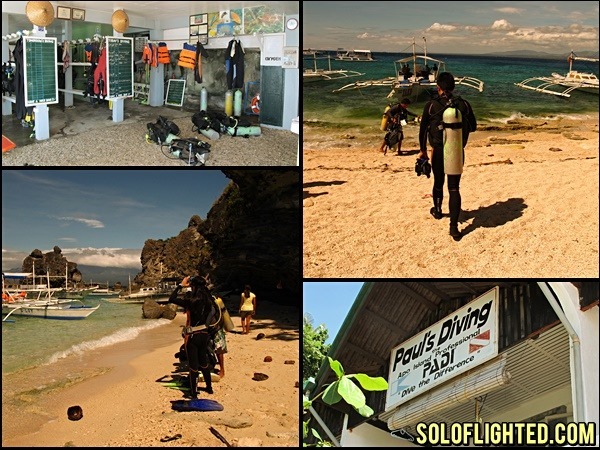 We dropped by a dive shop (Paul’s Diving Center) and inquired about their services. 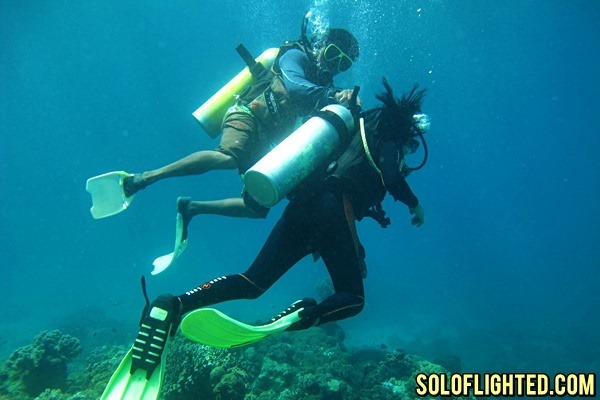 For somebody who doesn’t have a dive license, the shop offers a Fun Dive experience to tourists. We had an orientation and exam to understand the Do’s and Don’ts of the activity. Sydney, our dive master, was helpful in making sure that we understand the ideas and concepts as fast and as easily as possible. After the exam, it was time to suit up and get our gear. Given that this was a fun dive, we spent the one hour in shallow water only. 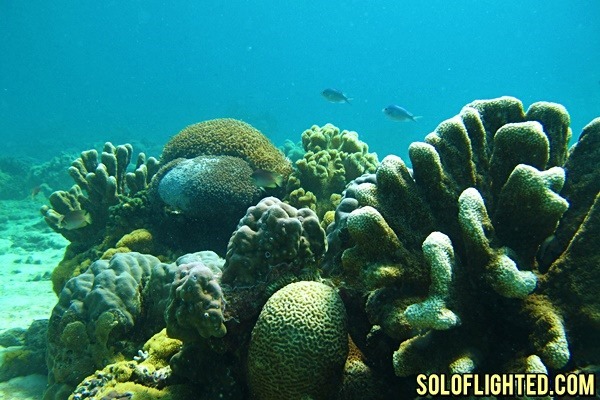 We didn’t see much of the amazing underwater life that Apo Island boasts. The experience was more of getting the hang of breathing through the tank and understanding how to equalize. This was absolutely fine by me since it was the learning that mattered. Jana was already taking her license so it was much easier for her to adjust. During the fun dive, we were swimming farther from the beach. The guide made sure to keep his eyes on us and kept checking if we were okay. 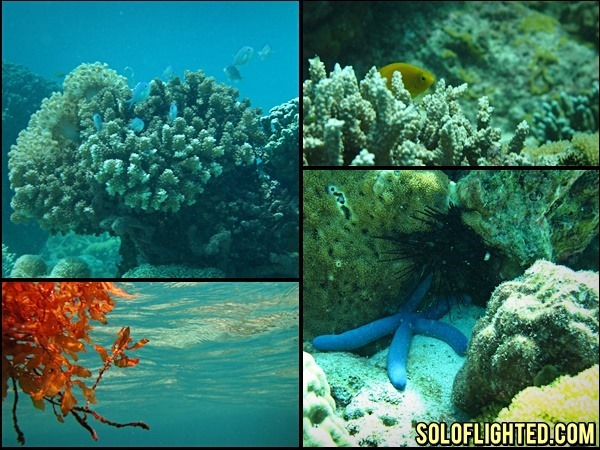 I saw fishes and corals and was having fun with our rented underwater camera. 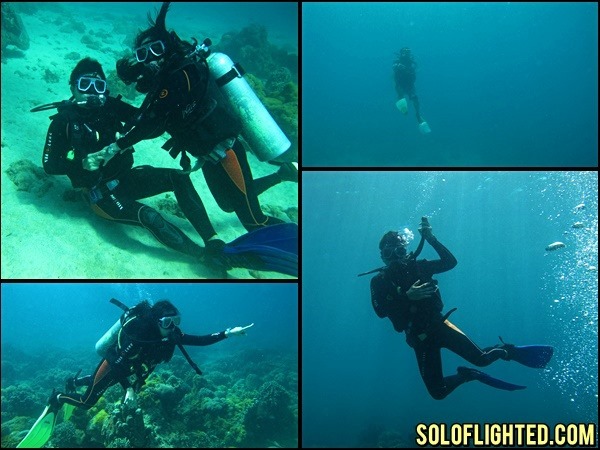 I was getting the hang of floating, submerging and equalizing in between and the next thing I knew, I was already exploring the underwater reef on on my own. 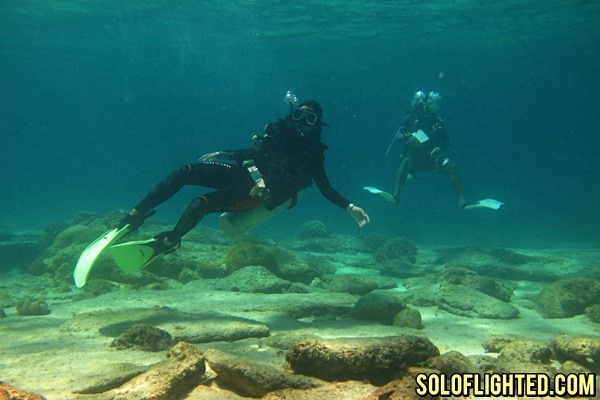 According to some tourists who were also seasoned divers, the water visibility is very good even at a shallow depth, which made it all the interesting. Our tank ran out of oxygen after a few minutes and it was time to head back to the surface. This was my first time to scuba dive and even if it was at a shallow depth, I enjoyed the time in the water. I’m hoping I can get a license when I’m able to save a budget for it. One of the things I aim to achieve is get a dive license. 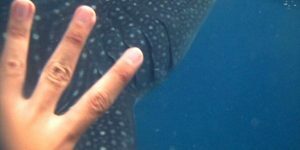 I want to go back to Apo Island to dive and see the beauty of its marine life. 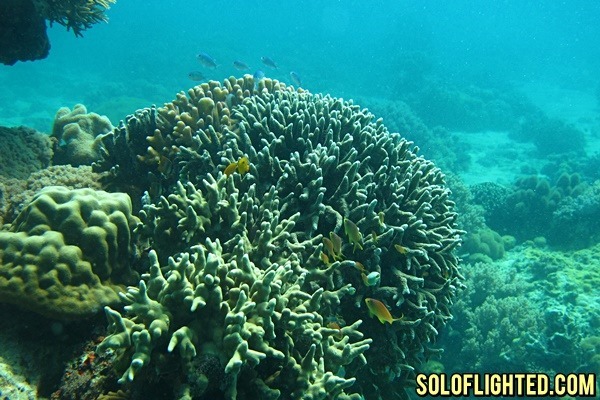 Photos in this post were taken using a Canon camera with an underwater casing – the heavy duty kind. 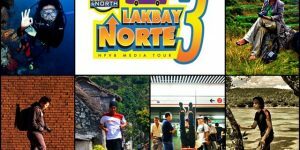 We rented it for 500 Php as my own camera wasn’t working properly. Wow. passing out doesn’t sound so nice. 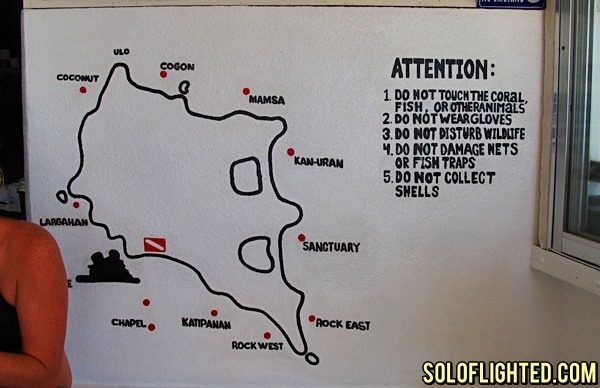 next time i visit Apo Island, would prefer to go the open water dive route. need to get a scuba license first. woah! you’re back to blogging. 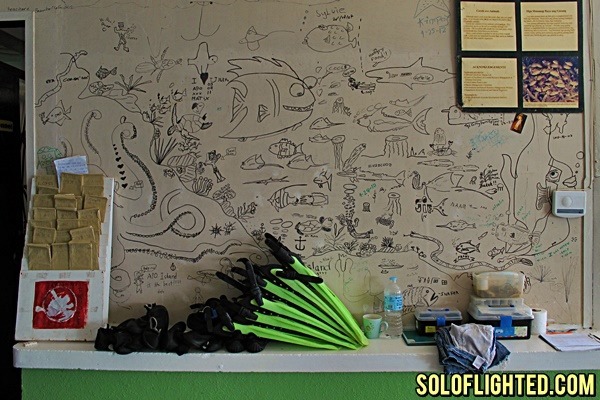 good to hear from you mr soloflight.. apo island will be my next destination bec of this haha How much was the intro dive? oh my, i forgot how much this was. i think around 1K per person? 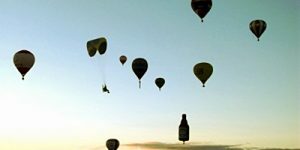 just trying to blog some old posts. thanks for dropping by Rich. We miss Apo Island already. Sheila and I spent our anniversary there, and the dive sites are beyond awesome. We skirted the wall of the Chapel dive site at 60 feet, then explored the coral gardens at 30 to 40 feet for more than an hour. We even saw four humongous pawikans (turtles) there! 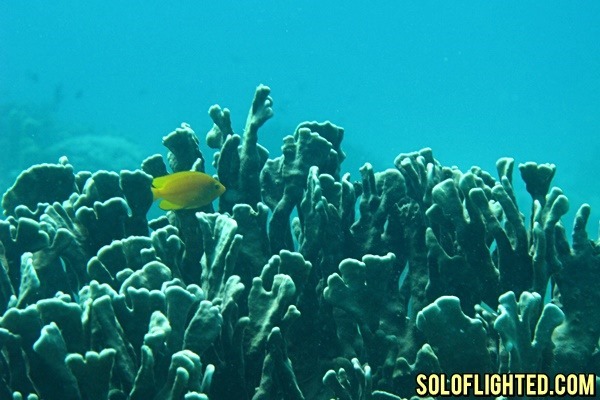 We’ll write a blog post about our Apo Island dive adventure soon. 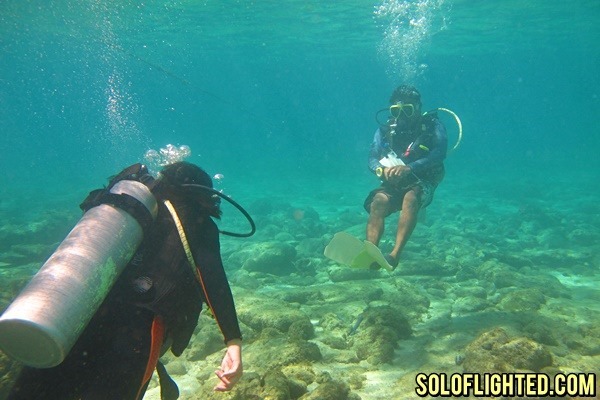 For the best visibility, we suggest you dive early in the morning (8AM to 9AM) and when the sun is shining.